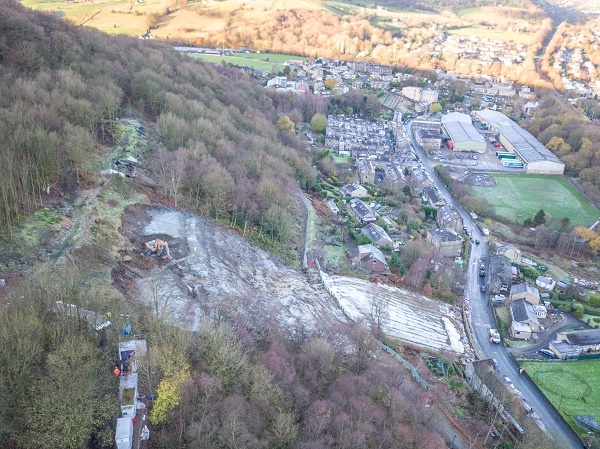 Specialist ground remediation and soil stabilisation company Deep Soil Mixing Ltd has completed a slope stabilisation and ground remediation project in Mytholmroyd, West Yorkshire, for client Calderdale Council. 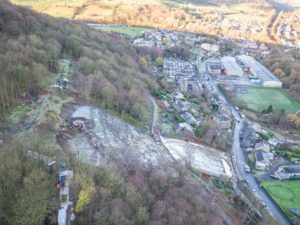 In early 2017 Deep Soil Mixing Ltd were approached by the Council to put forward a scheme for the stabilisation of a hillside and asbestos fibre encapsulation. 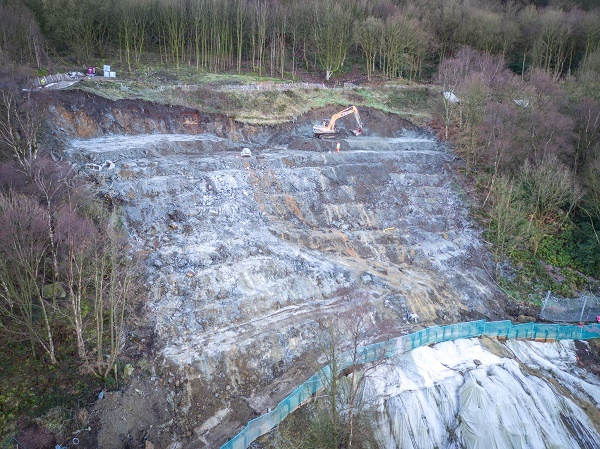 Using their controlled soil mixing technique, Deep Soil Mixing has over the last six months transformed this challenging site through the use of mass mixing using Deep Soil Mixing Ltd’s Allu bucket on a 20-tonne excavator. The soil stabilisation process Deep Soil Mixing has undertaken on this hillside which covers approximately 3500M2 has proved to be an economical and practical solution – the soil had to be stabilised and the asbestos fibres contained in the ground locked in, before Calderdale Council can landscape the site. Prior to commencement on site, Deep Soil Mixing Ltd undertook rigorous testing and assessment of the ground to assess its suitability for soil mixing.  Laboratory tests were also undertaken using samples of the soil to be treated mixed with different proportions of a wide selection of binders to select the most appropriate mix. From these results, Deep Soil Mixing Ltd then prepared a detailed specification. Deep Soil Mixing Ltd also installed a King Post Wall at the bottom of the affected area to create a barrier and working platform from which the mixing operation could commence. 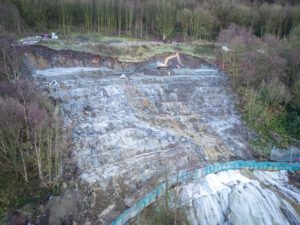 Soil Mixing has proved to be an ideal solution for this slope stabilisation project, but it can also be used in a wide variety of other applications. In addition to the environmental advantage, stabilisation of soft soils by adding binders to reduce settlements and/or improve the stability of the land can be both a quick and cost-effective solution compared to some traditional method of piling. As well as being suitable for some contaminated ground, if developers have a site with soft ground being present including peat and alluvial deposits, glacial till, bogs, etc soil mixing will improve the soil using the soil mixing system. By making use of the existing ground and improving it to achieve a specified bearing capacity and shear strength, there is no need to excavate, cart away or dispose of the existing material off site and then bring in costly and bulky fill materials. It is not though, just about improving unsuitable ground but aims to turn poor quality soils into an acceptable foundation bearing strata. With government pressure calling for a reduction in construction excavation waste being sent to landfill. Soil Mixing can help to meet these targets.